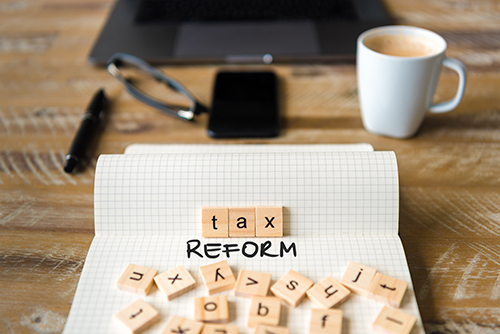 When the Tax Cuts and Jobs Act of 2017 (TJCA) and the Bipartisan Budget Act of 2018 (BBA-18) were enacted nearly a year ago, January 1, 2019, may have seemed a long ways off. But that date is quickly approaching and many might still be caught off guard by the upcoming tax reform changes created by these two substantial pieces of legislation. While many of the provisions affecting IRAs and employer-sponsored retirement plans became effective in 2017 and 2018, a few will take effect on January 1, 2019 (for a complete list, see President to Sign Tax Reform and Budget Bill Broadens Disaster Relief, Rewrites Hardship Rules, and More). If your organization hasn’t done so already, it should start preparing for these upcoming changes by reviewing the 2019 provisions and determining if they will affect your organization’s procedures, forms, documents, and marketing materials. Effective for any divorce or separation instrument executed or modified after December 31, 2018, taxable alimony payments will no longer be deductible or considered eligible compensation for IRA contribution purposes. Effect on Clients – Clients who make alimony payments to a spouse or former spouse based on divorce or separation instruments executed or modified in 2019 or later may no longer deduct these payments from their taxable income. IRA clients may also have less, or possibly no eligible compensation on which to make IRA contributions with. For example, a 45-year-old client who does not work but receives $40,000 in taxable alimony payments in 2018 may be eligible to make a 2018 $5,500 Traditional IRA contribution. If the same facts apply in 2019, the client will not be able to treat taxable alimony as eligible compensation and will be ineligible to make an IRA contribution. Possible Action Items – Financial organizations should review their internal training materials and external marketing materials. They should also review their IRA disclosure statements to ensure compliance with the new provision. For 2017 and 2018, a distribution made to pay for unreimbursed medical expenses exceeding 7.5 percent of adjusted gross income (AGI) is not subject to the 10 percent early distribution penalty tax. Beginning January 1, 2019, this threshold will increase from 7.5 percent to 10 percent of AGI. Effect on Clients – Clients should seek competent tax advice to ensure their eligible medical expenses meet or exceed the higher AGI threshold required for the penalty tax exception. Possible Action Items – Financial organizations should review their IRA plan agreements and disclosures, and their qualified plan documents and transaction forms (e.g., the 402(f) notice) for possible changes. Financial organizations may also need to update their internal training materials and external marketing materials. Effective for 2019 and later plan years, BBA-18 modifies the following hardship distribution restrictions. Plan participants will not be required to suspend deferrals for six months after receiving a hardship distribution. Plan participants may receive hardship distributions of qualified nonelective contributions, qualified matching contributions, and their earnings. Earnings on elective deferrals will also be eligible for hardship distribution. Plan participants will not be required to take a plan loan before receiving a safe harbor hardship distribution. Effect on Clients – Plan participants generally must have a distribution triggering event (e.g., age 59½, separation from service) before they can receive a distribution of their plan assets. Options are even more limited for distributions of employee deferrals. These new, less restrictive hardship provisions will make it easier for participants to access their plan assets during a financial crisis. Possible Action Items – Financial organizations acting as plan sponsors should consider how these changes could affect their plan documents and whether an amendment is necessary. Financial organizations should also review their transaction forms (e.g., the 402(f) notice) for possible changes. Financial organizations may need to update their internal training materials and external marketing materials. Beginning with 2019 tax year filings, individuals age 65 and older may use a new simplified income tax form (Form 1040SR). Effect on Clients – In the past, individuals had to report certain types of income (including IRA and employer plan distributions) on the more complex Form 1040, U.S. Income Tax Return, or Form 1040A, U.S. Income Tax Return. Individuals age 65 and older may now use the simpler Form 1040SR to report income such as capital gains and losses, interest or dividends, distributions from most retirement plan arrangements, and Social Security benefits. Possible Action Items – Financial organizations may want to update their internal training materials so associates can provide a basic, high-level response to client inquiries.